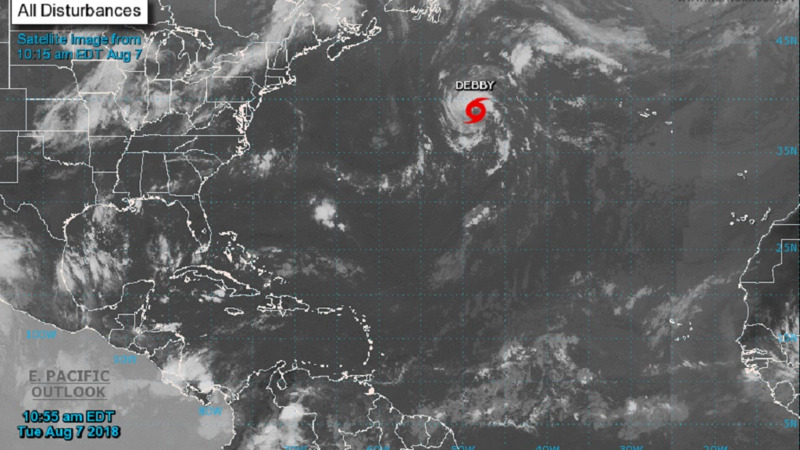 A look at the newly formed Tropical Storm Florence. Photo via the Cooperative Institute for Research in the Atmosphere. Tropical Storm Florence is moving quickly west and has strengthened slightly but still poses no threat to land. 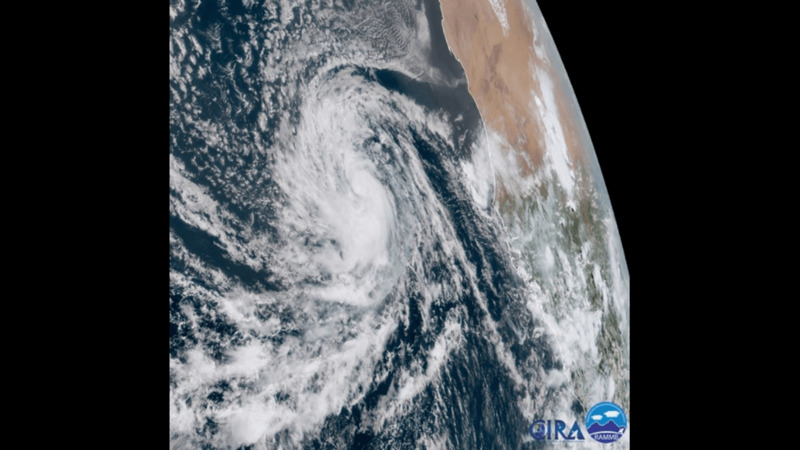 The National Hurricane Center in Miami said in its 11 a.m. EDT advisory Sunday that the storm is located about 605 miles (970 kilometers) west-northwest of the southernmost Cabo Verde Islands off the coast of western Africa. The storm was moving west-northwest at 18 mph (30 kph). Maximum sustained winds have decreased slightly to near 50 mph (85 kph) with higher gusts. The hurricane center said little change in strength is forecast over the next few days. 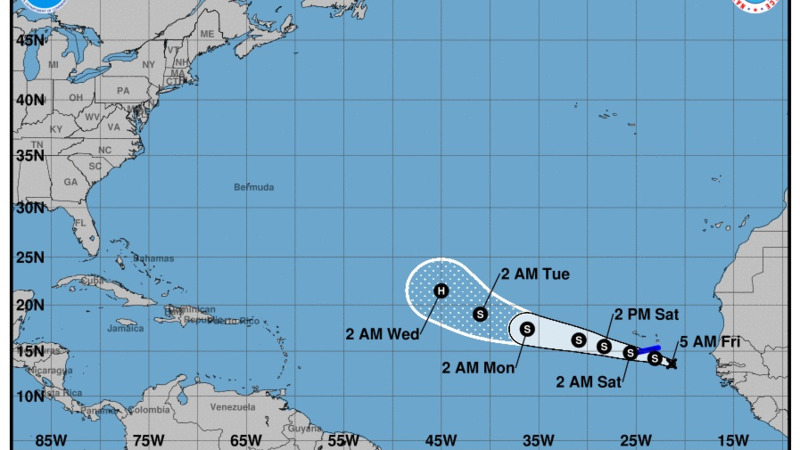 The National Hurricane Center in Miami says a new tropical storm in the eastern Atlantic will strengthen throughout the weekend but does not currently threaten land. 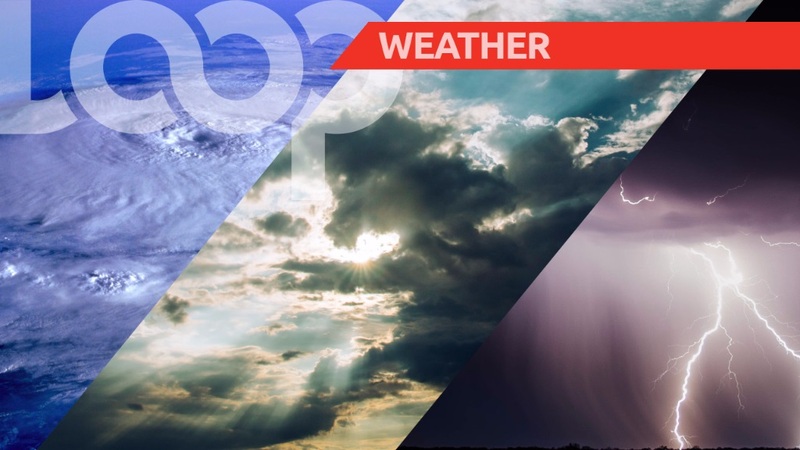 The center said in its 11 a.m. EDT advisory that Tropical Storm Florence was located about 225 miles (365 kilometers) west of the southernmost Cabo Verde Islands off the west coast of Africa. Florence is moving west-northwest at 14 mph (22 kph). The storm's maximum sustained winds of 45 mph (75 kph) were expected to strengthen in the next 48 hours.